Are you a good Tummy Tuck candidate? Even with the most dedicated diet and workout regimen, some people are just not able to get the flat tummies they desire. This can be due to your age, your hormones, or even a pregnancy. There is, however, one option that exists to help men and women trim and firm their bellies once and for all. 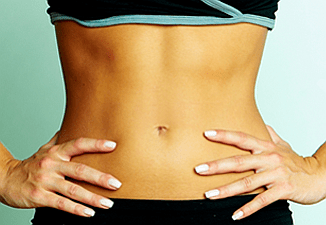 This guide will teach you the basics about a plastic surgery procedure called the tummy tuck. By the end of this blog, you will also be able to determine if you are a good candidate for the procedure. Tummy tuck is the layman’s term for an abdominoplasty in Las Vegas. An abdominoplasty is a cosmetic procedure performed by one of the Las Vegas plastic surgeons in order to remove the extra skin and fat that is stubbornly attached to the abdomen. This procedure also helps to tighten the muscles of the abdomen itself so that the end result is a flat and smooth tummy. Who is the Perfect Tummy Tuck Candidate? As with most forms of plastic surgery Las Vegas, the ideal candidate is a non smoker who has no major health issues. It is also helpful if you are already at or close to your ideal weight. Just remember, this procedure is not designed to help you lose weight. The purpose of the procedure is to help you trim and sculpt a silhouette that is already close to your desired weight. As long as you keep your expectations about the procedure realistic, you should be pleased with the results. Before your abdominoplasty in Las Vegas, you will most likely have to undergo a series of tests so that the surgeon can make sure you truly are in good health. As the date of your surgery approaches, you will also be asked to stop taking certain medications that may increase bleeding and interfere with the success of your procedure. These can include aspirin, most over the counter anti-inflammatory drugs, and many herbal supplements. After your procedure, you will likely be covered in bandages and a compression garment to assist with healing and minimize swelling. There is also a chance that you will have been fitted with tubes to help drain any fluids that accumulate while you are healing. While you are in recovery, you may not be able to stand completely upright for about a week. You want to make sure you have someone at home to assist you with chores and the other essentials of daily living. You will be able to return back to work anywhere between one and three weeks. This will depend on the type of work you do. Speak with your surgeon before you make the decision to head back to work. If a tummy tuck sounds like the solution for you, schedule a consultation with the surgeons at Reynolds Plastic Surgery. The experienced medical staff here is dedicated to providing you with the best possible care. For more information about our office and a tummy tuck consultation in Las Vegas, call 702.410.9800. This entry was posted in Las Vegas Plastic Surgery, Tummy Tuck and tagged tummy tuck las vegas on October 15, 2014 by Krystyna Hutson. I’ve been working out a lot lately, but I am having a hard time losing the fat around my stomach. I understand that a tummy tuck is not intended to help me lose weight, but instead to improve the way I look. I’m not concerned about how much I weigh, so this sounds like the perfect solution. I’ll take your advice and schedule a consultation with a plastic surgeon soon.